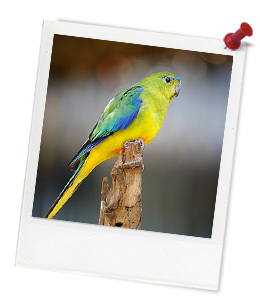 Quick summary: Students investigate the role of conservation in zoos. They begin by finding out what conservation is and then look at a case study of the Eastern Barred Bandicoot. They then investigate animals and conservation further by working in groups to research an animal involved in a conservation program (if you are planning to visit a zoo after this lesson, then this animal can be found at the zoo you are visiting – alternative materials have been provided for those not visiting a zoo). Finally, students create an artwork of this animal in its natural habitat to share with classmates. Syllabus outcomes: STe-8NE, ST1-11LW, ST1-10LW. Resources required: Student Worksheets – one copy per student. Device capable of presenting a video to the class. Art materials. One printed copy of the Learning Journal for each student (or invite students to access the Learning Journal used in the Tuning In lesson). Extinct Animal Images. Corroboree Frog Factsheet. 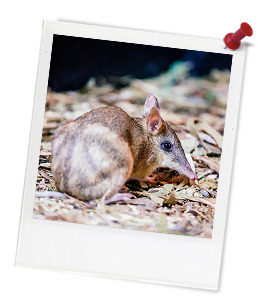 Keywords: Zoos Victoria, zoo, fighting extinction, extinction, animals, conservation, conservation program, Eastern Barred Bandicoot. Thought starter: Is your favourite animal part of a conservation program? What does this animal need to survive? What type of habitat does this animal live in? Why does this animal have a conservation program? What features does this animal have? How are these features similar or different to your own? What is the life-cycle of this animal?